Thank you to all who were a part of this year's Master Classes. STAY TUNED FOR MORE MASTER CLASSES COMING IN 2020! JANUARY 14, 2019 5:30 - 6:30 p.m. Inspired by her Norwegian roots, Rachel has built a career around her love of music, performance, teaching, and Scandinavian tradition. She earned her BA in Music and Norwegian from St. Olaf College in 2007, followed by a master’s degree in Violin Performance and K-12 Teaching Certificate from Central Washington University in 2011. 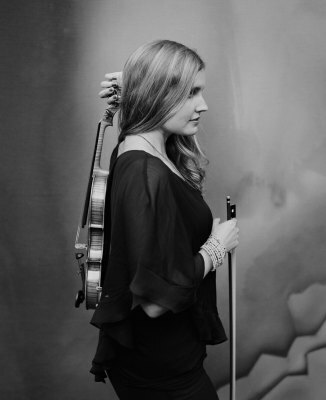 Rachel completed additional studies in both classical and jazz violin at the Music Conservatory of the University of Stavanger, Norway, also using the opportunity to polish her Norwegian language skills. Rachel is an avid Hardanger Fiddler (the national folk instrument of Norway), an aspiring violist, an enthusiastic conductor, and a novice improv actor! Rachel is an active freelance violinist and teacher in the Seattle area. Currently, she plays with Symphony Tacoma, Seattle Rock Orchestra, Seattle Metropolitan Chamber Orchestra, Yakima Symphony, and several other local ensembles. Rachel’s chamber music credits include her work with Puget Sound Strings, Sonic Quartet, and Arcobaleno Strings. She also performs internationally, playing classical, pop, and folk music in places like Norway, South Korea, and Kenya. JANUARY 28, 2019 5:30 - 6:30 p.m.
Daniel Wing entered teaching following fifteen years as a professional orchestra musician. He holds a B.A. Music degree from W.S.U. and an M.M. in viola performance, "With Highest Distinction", from Indiana University. Mr. Wing lived in Germany for six years, and has performed throughout Europe, appearing with the orchestras of Radio Luxembourg and West German Radio (Cologne), among others, as well as recording chamber music for Southwest German Radio (Karlsruhe). He has served as Principal Violist in the orchestras of Heidelberg (Germany), the Spoleto Festival (Italy), Sacramento (CA), Evansville (IN) and Charlotte (NC). He is still an active professional orchestra and chamber musician on the West Coast, and is frequently asked to adjudicate and provide orchestra and chamber music clinics. Mr. Wing joined the Shoreline School District in 1988 and recently retired after 30 years of teaching. His Shorewood orchestras produced many All-State and All-Northwest musicians and state champions, and have garnered numerous awards from the Northwest Orchestra Festival and the WIAA/WMEA State Championships. Mr. Wing’s Shorewood orchestras have performed at New York City’s Carnegie Hall five times. Mr. Wing is Past President of the Washington Music Educators Association (WMEA), Past President of the Washington String Teachers Association (ASTA), and has been group manager for numerous All-State and All-Northwest Orchestras. 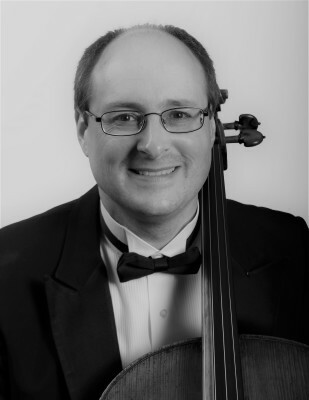 He is a member of the WMEA Hall of Fame, has been named ASTA-Washington "Outstanding String Educator", as well as Shoreline School District "Teacher of the Year" and WMEA “Music Educator of the Year”. He and his wife Diane have three children, Nick, Ben, and Chelsea. Brian Wharton received his bachelor degree from Western Washington University and Master’s from the Cincinnati Conservatory of Music. Brian has held fellowships at the Congress of Strings and the Aspen Music Festival. Currently, he maintains an active career in performing and teaching. He has been a member of the Northwest Chamber Orchestra and currently performs with Pacific Northwest Ballet and principal cello with the Auburn Symphony. In addition, he has appeared with the Seattle Symphony and Seattle Opera. He has performed as a soloist with orchestras around the northwest including the Auburn Symphony, the Spokane Symphony, Olympia Chamber orchestra, and the Tacoma Youth Symphony. 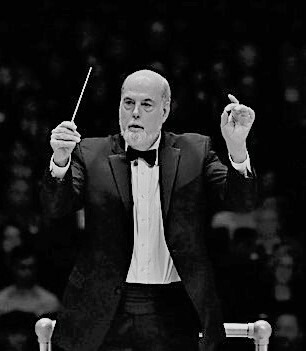 His love of chamber music led him, with the Auburn Symphony board, to create the Auburn Symphony Chamber Series including “Sunsets at Mary Olson Farm” in the summer months. This series is celebrating its 10th anniversary this year and is known for its adventurous programming. Brian is a sought-after instructor in the south Puget Sound area and maintains an active private studio. His students continue to receive the highest honors at the regional and state solo and ensemble contests. He keeps music in his family with his wife, Melinda, who directs one of the area’s top orchestra programs at Mt. Baker Middle School and Auburn Riverside High School in Auburn, his children, Hailey and Connor, who play musical instruments and sing, and his parents who are professional performing cellists. Brian loves to camp and fish with his family in his spare time.